It’s all going to be okay… right? Hae Soo and Jae Yul sit on the bed as she tells him the story she denied him last time when they were at the beach. When she was in high school she received a call from the hospital about her father, and she secretly wished that he wasn’t going to make it, but he did. An upset Hae Soo called up President Kim, demanded him to meet her mom and give the family money. Mom overheard the whole thing and started to meet President Kim again, getting enough money to afford Hae Soo a medical degree. Jae Yul listens patiently and confirms his love for Hae Soo. She finally tells him she loves him a lot too. The two hold each other in tight embrace and she begins to weep again so she breaks off suddenly, pretending to go wash up. Jae Yul does not answer a call from Kang Woo, but notices that it is September 5th, the date his brother gets out of jail. Later, the two are laying on Jae Yul’s bed. Jae Yul begins to fall asleep on an actual bed instead his tub. He whispers to Hae Soo that maybe she is curing him. A bit after, Hae soo crawls out of bed and enters the bathroom where she receives a call from a wailing Eun Soo saying that So Nyeo has told about Jae Yul. An angry Soo Kwang grabs the phone from Eun Soo, saying that Jae Yul is not crazy, he is just sick. I don’t understand why everybody has to know about Jae Yul’s illness. 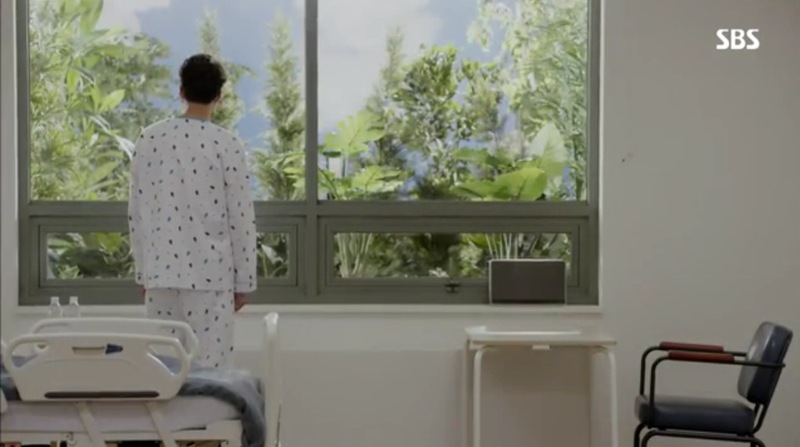 Outside, Jae Yul wakes up to a message from Jae Bum asking to meet at their old residence. Just then Kang Woo calls and asks to meet up as well. Hae Soo calls up Young Jin and asks her to come with the ambulance now, but to please bring a sedative so Jae Yul does not need to wake up from falling asleep on a bed for the first time. She exits the room to find that Jae Yul is already gone. From a note he left her she realizes that he has gone off to see Kang Woo. Tae Yong and Dong Min comes by to pick her up. She tries contacting Jae Yul but he gets distracted by some incoming cars and the phone disconnects. Just as Jae Yul is on the phone with Kang Woo, Kang Woo passes by Jae Bum who is waiting for Jae Yul to show up. Jae Yul sees Kang Woo biking toward the opposite direction and gets hit by a car. 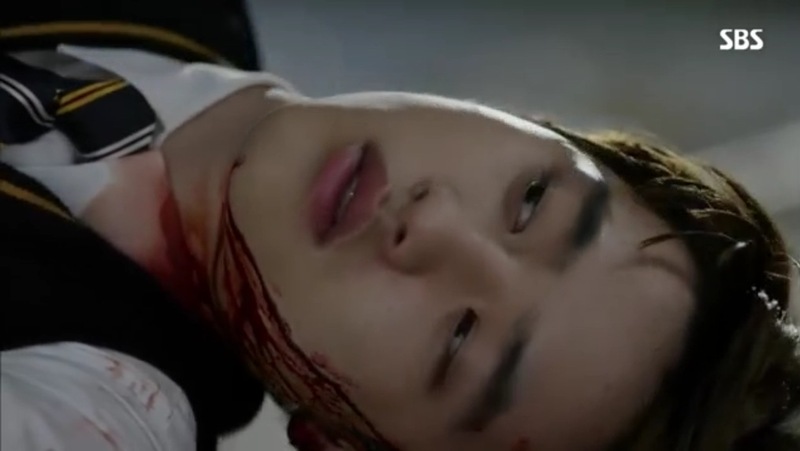 Kang Woo flies through the air and tumbles down. 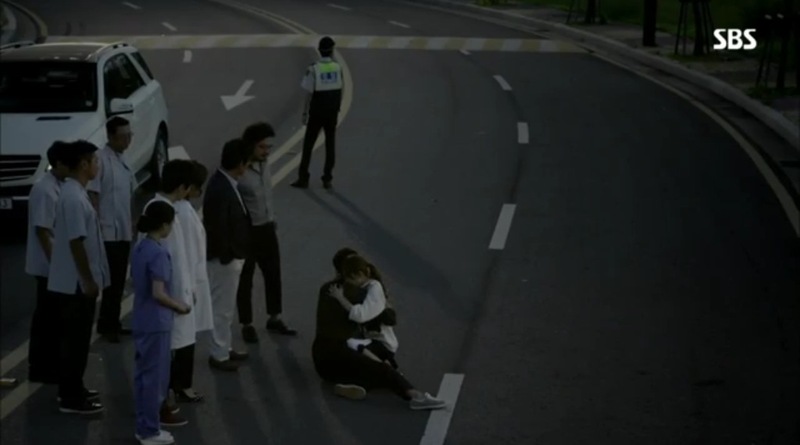 The car continues on and leaves a bloody Kang Woo on the ground. Upon seeing this Jae Yul quickly turns his car around and hits the supposed runaway car head on. A bloodied Jae Yul gets out of his car and stumbles toward Kang Woo while Jae Bum watches in confusion. At this moment Young Jin arrives in the ambulance, with Hae Soo, Dong Min and Tae Yong trailing moments behind. Hae Soo dashes out of the car to embrace Jae Yul, but all Jae Yul could say is do something about Kang Woo. Dang. Jae Yul is successfully sedated and hospitalized. Dong Min explains to the medical team that Jae Yul knew the only way his brother’s resentment will go away is if he died. 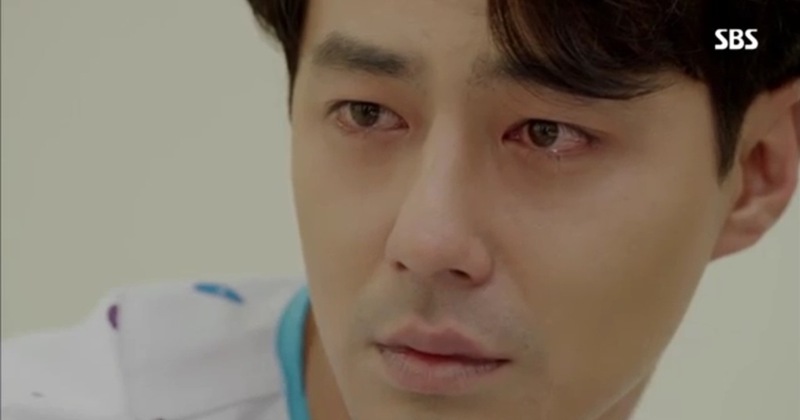 Instead of choosing to commit suicide, Jae Yul subconsciously decides to die trying to save Kang Woo (dying by accident) so it would be easier on his mom, keeping her in a dissociated state. Jae Bum learns the truth about the murder and asks Dong Min to administer amytal to mom. Dong Min explains that because mom is in a dissociated state she has no memories of what she did so the amytal will not work on her. He goes on to say that Jae Bum can get his revenge on mom by torturing her through telling the truth again and again. Jae Bum punches Dong Min and leaves. Outside, he gets a call from mom asking about dinner and he kicks the trash a few times in a fit of rage. It has been two weeks since Jae Yul has been admitted to the hospital, but he is still not allowed visitors. Dong Min shows Jae Yul the security video footage and the murder evidence. Jae Yul agrees that it is weird nobody else can see Kang Woo, but he still believes that Kang Woo is real. 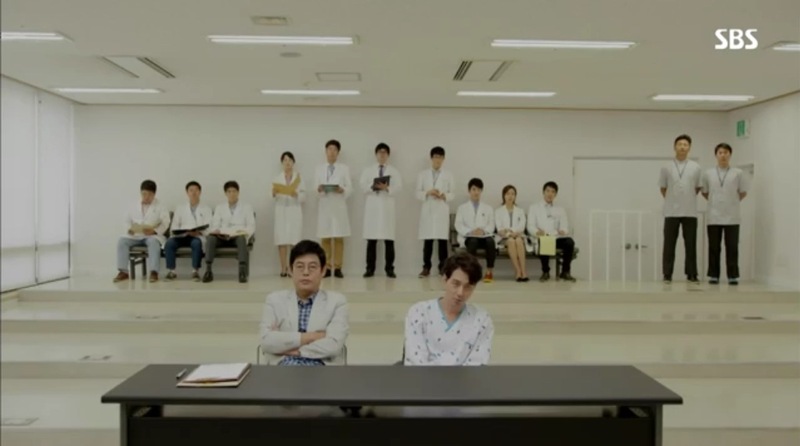 Dong Min and Young Jin decide that Jae Yul needs more treatment before anyone can see him. Also Jae Yul’s ALS is a delusion that he created to share something in common with Kang Woo. Hae Soo’s mom demands that Hae Soo break up with Jae Yul. She tells Hae Soo that caring for a patient is not all that it’s cracked up to be, because she knows how difficult it is first hand. Had not the dad been sick, she would not have had an affair with President Kim to provide for her daughter’s education and she would not have said harsh words to Hae Soo either. She comforts herself with the delusion that although dad cannot speak he understands. The sister also tells Hae Soo to end it because the family has sacrificed too much for her to live well. Hae Soo goes to the hospital and pressures her hobae (junior) into letting her visit Jae Yul for fifteen minutes. Jae Yul tells her about his inability to speak or walk well, and she comforts him by saying it will get better. Jae Yul has another episode and sees Kang Woo again, but begs Hae Soo to let him out because he does not belong there. Hae Soo does not concede and tells him he must realize that Kang Woo is unreal in order to cure his disorder because medication can only go so far. Jae Yul is left in the room alone, whispering Hae Soo’s name as she exits.